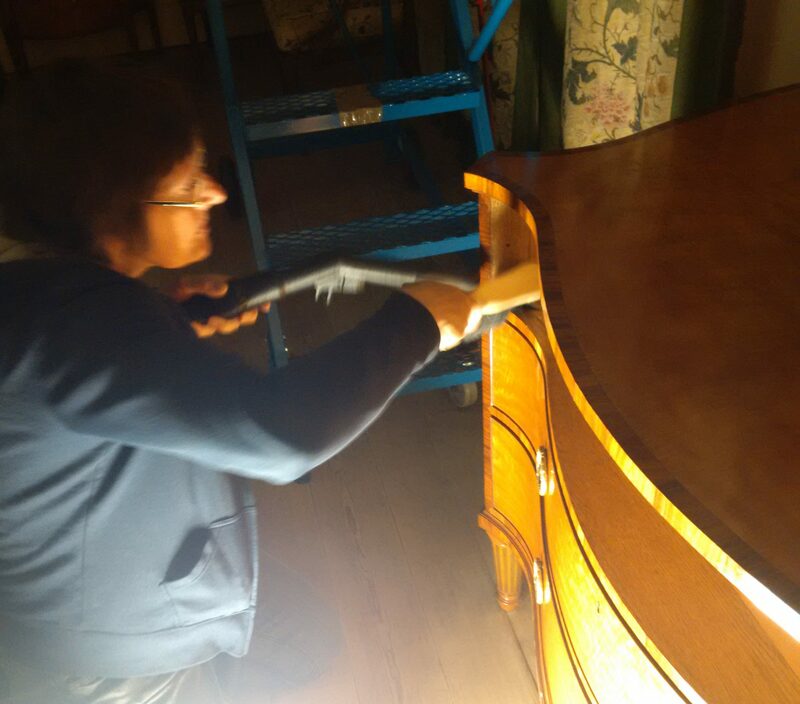 One of the most important things we do here at Osterley is regular checking of our historic collections. 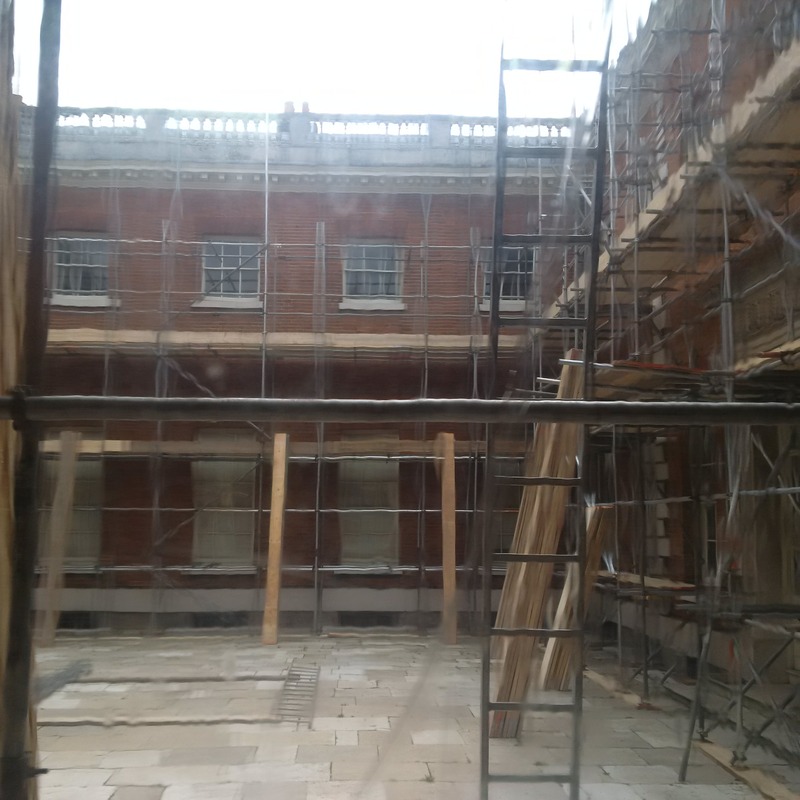 This is a daily routine for the house team here at Osterley; this allows us to keep an eye on any developing changes that may happen to an object over time. 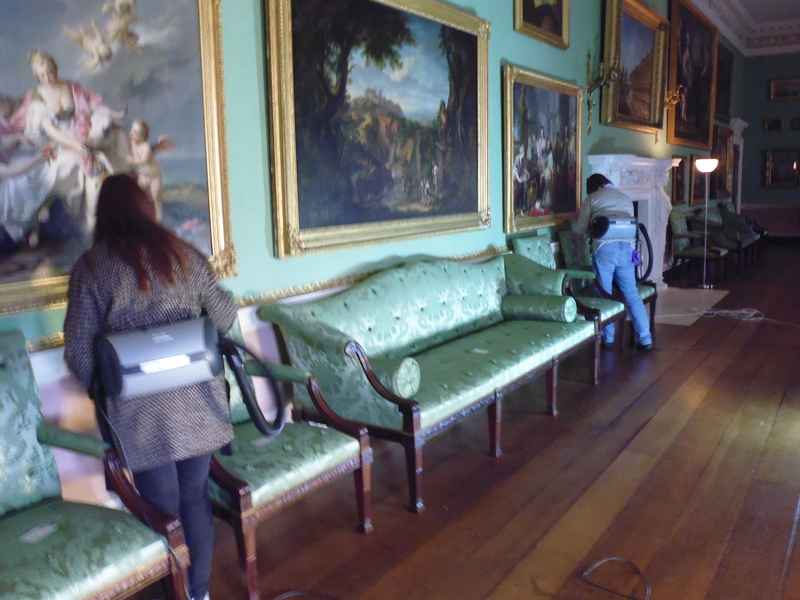 Recently the House team at Osterley started doing regular checks of spaces that they knew had high humidity. Because of the change in weather, the house team noticed that it was having an huge effect on the temperature and RH inside the house. Particularly on our top floor. On one of these routine checks, they unfortunately discovered that some of our prints and etchings have been going through a few ‘organic changes’ to say the least. To clarify, the prints and etchings had started to grow mold. Mold is highly damaging for materials such as paper, this is because it is also made from a natural/organic material. Mold can root itself within the material, and will slowly grow across it breaking it down. This will eventually lead to the paper decaying and breaking apart. Other materials such as Woodwork, Textiles Taxidermy are also highly sensitive to mold growth. 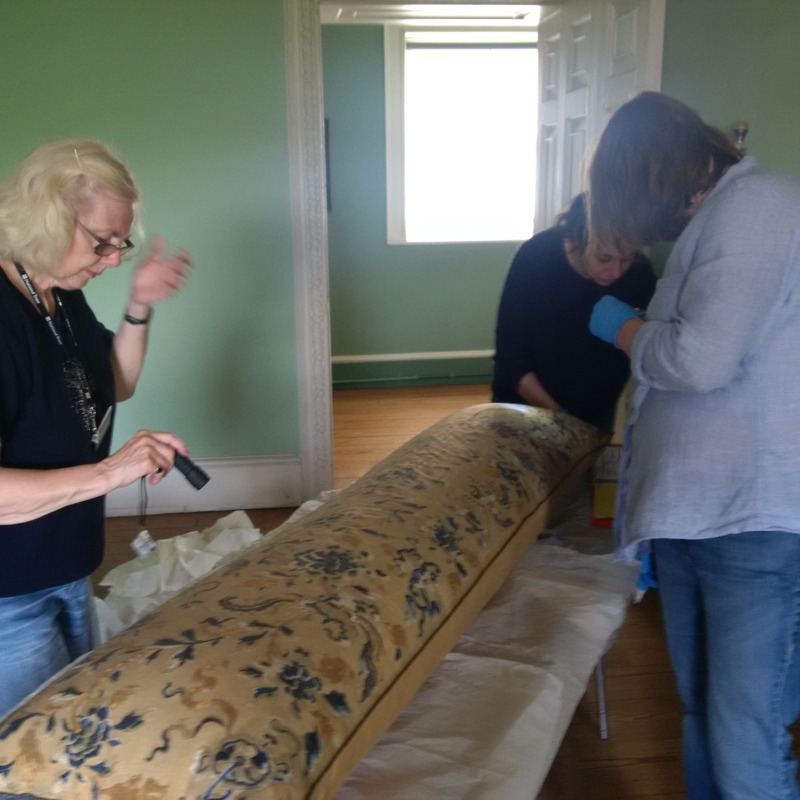 It was quickly established by the House team and specialist conservators that with the weather being as warm as it has been, and with a long standing issue of the prints being fixed tight against an outside wall, resulting in restricted air flow around them. Subsequently leading to the back of the frames becoming damp and trapping moisture, creating the perfect environment known as a ‘ micro- climate’ to develop. In total seven prints had to have conservation work performed on them. Carefully opening of the print frames, this is to assess the damage done. it is also important to point out that some of the prints had never been out of their original frames. She physically removed mold debris from paper surface, by gently submerging the prints in water, and removing smaller bits with a sponge or acid free wool blotted with water. She then checks conservation materials and frame assembly of the frames. She did this by adjusting some of the frames, check frame fittings, and methods that the prints were hanging on the wall. This was for ventilation and to prevent the mold from returning. Finally, the House team were able to put the prints back on the wall, where they are now back on display in pride of place. 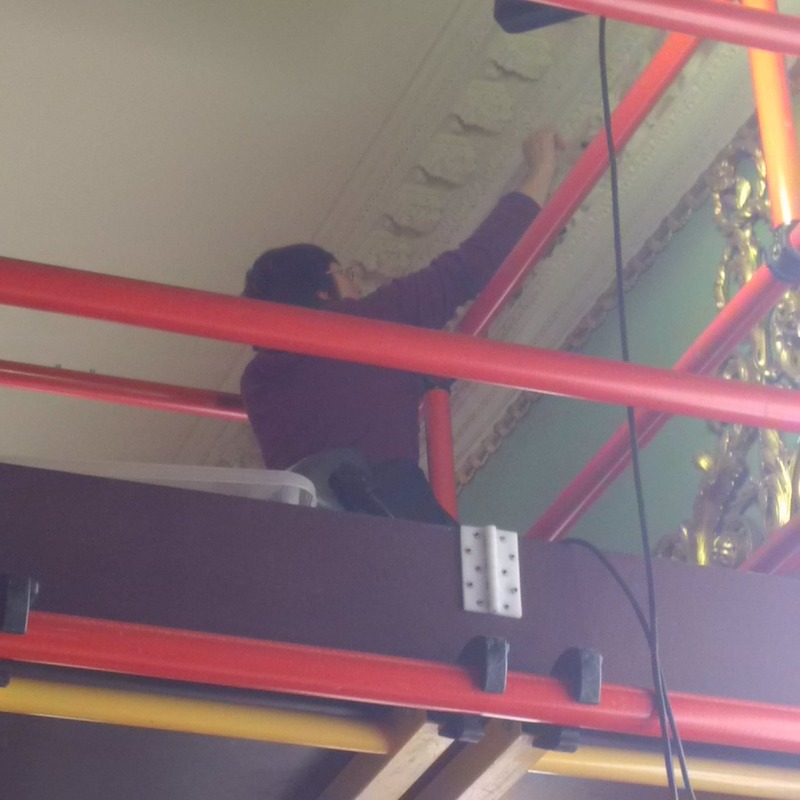 This is an interesting post about the work that the team at Knole do to monitor environmental conditions (relative humidity, light, UV, etc.) 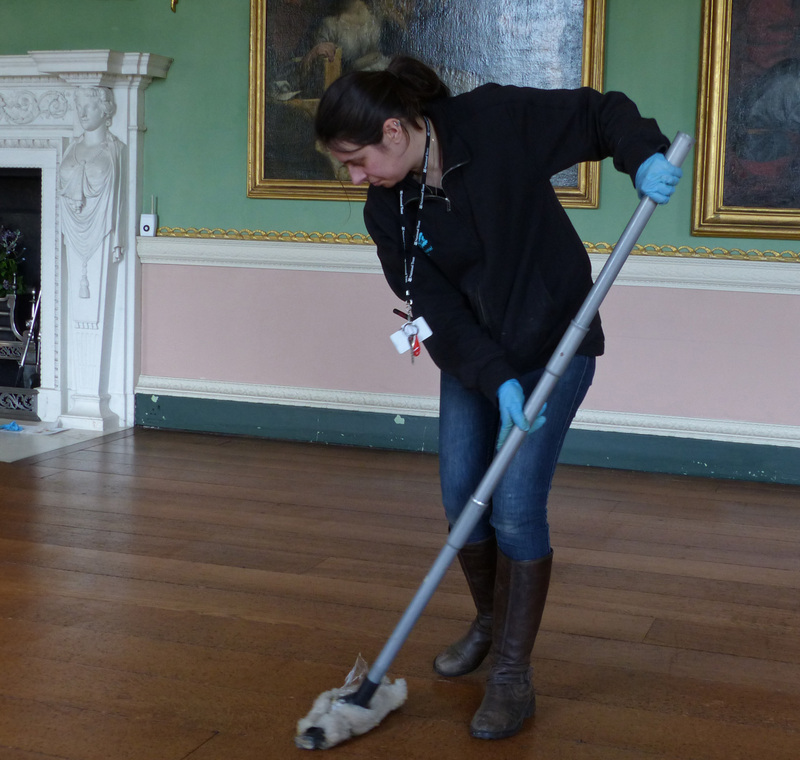 within the house, just as we do at Osterley and other properties across the National Trust. One of the most important things we do at Knole is keeping an eye on the environmental conditions in the Showrooms. We do this through a combination of ways. Our primary method is using individual monitoring sensors in each room that send a regular signal back to the office detailing the Relative Humidity (RH) and temperature in each space. By this method we can keep an up to the minute record of what’s going on. Our regular ‘Hanwell’ environmental monitors. This one is in a storage space and is showing an RH reading of 58%, right where we want it. However, because of our current project and the work going on to improve the lighting, conservation heating and all sorts of other things it means that we don’t have proper radio monitors in some rooms right now. Spectacular coastline, award winning beaches and beautiful countryside - Join in and help us keep Gower special!